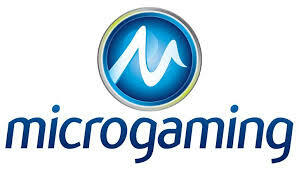 Launched in 1994, Microgaming is probably the oldest that has been programming a variety of online casino games. At this point, there are over 800 casino games that run off Microgaming, and the company has been rewarded with numerous rewards for their amazing titles and features. Microgaming has been awarded by Global Gaming Awards, Casinomeister, Awards for Excellence, CasinoPlayer, EGR Award and Gambling Online Magazine. They jumpstarted the move from online to mobile gambling, and offer amazing features including live dealers and QuickFire. These offer extensive options in where and how you can enjoy online gambling. Microgaming, in addition, assisted in founding eCOGRA and IGC, essentially setting responsible playing standards. The group uses PlayItForward to provide assistance in sports, health and education issues. New Zealand players can download the Microgaming software, Viper software or QuickFire. With Viper, you can download the program onto your computer and play through there. The download is quick and allows access to a wide range of games, both free to play and real money games. Viper software is the most recent version of Microgaming software. It is extremely advanced, easy to use and has many more options than the previous Microgaming software. Games play faster with higher resolution and quality. There are additional features including autoplay mode, additional gaming strategies and expert mode. You can easily navigate the casino, games and find clear descriptions about each. There is even better sound quality for enhanced ambience. However, some gamers prefer to use in browser methods for instant play. While not all games are available in instant play, you can enjoy a range of online pokies for real money gambling. QuickFire is another piece of software, however you can use it to choose single games rather than ordering packs of different games. This can save on space, money and time in your gaming fun. The software allows you to make withdrawals, deposits, bets in real money and play casino games of all types. Viper’s expert mode is among the best new features added to Microgaming software. The expert mode offers a feature collection to give you additional information to better analyze te way you game. It can help novice and experienced gamblers improve their strategy, be sent hints as they play and set up automatic hands or spins that the computer can play. You can use expert mode on just about any of the online pokies games, as well as roulette and blackjack. Viper as a whole is an excellent upgrade to the previous software, providing a whole range of new features that can greatly improve any gamers luck of the draw through various tips and suggestions. QuickFire is powered by Microgaming, and it offers its own collection of features. This is a flash-based casino application that can be run through your computer to give you access to a variety of online games. While there isn’t as many online games as the other software options, you can gain access to over 400 high quality, beloved casino games. There are regularly new games available, and one can play bets, make withdrawals and add money to their accounts using familiar New Zealand banking methods. The system is fully integrated to offer structured and beautifully run gaming. Overall Microgaming is the best of the best among other online casino software providers. They are constantly developing and releasing new, high quality casino games, with at least a few new ones each month. In addition, they offer the most online pokies among the other providers, which should please New Zealand gamblers very much. Microgaming is all about responsible and safe gambling, offering information to counseling and other guidance toward those suffering from problem gambling or gambling addiction. The provider uses simple, easy to use and high quality features in their software to allow new players and experienced ones the same chance at a lot of fun.